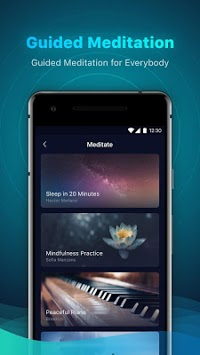 MyEase is an app that focuses on meditation and sleep aid. Do you want to be more effective at work and in your studies during the day? Do you want to fall asleep more comfortably at night? Do you want to learn how to concentrate, reduce stress and relax with meditation? If you have trouble falling asleep, relaxing nature sounds can help you. If you live a very busy life, meditating for a few minutes every day can help you adjust your breath, calm your nerves, reduce stress and improve your focus. Then download MyEase, our free meditation and sleep aid app. It will become a healthy habit that will make your life happier. 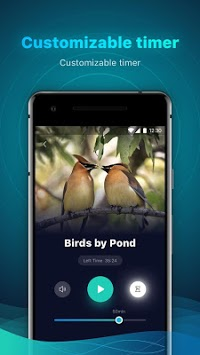 Clear background pictures, paired with each recording, help you immerse yourself in the sound and relax. High quality recordings will make you feel surround by Nature. 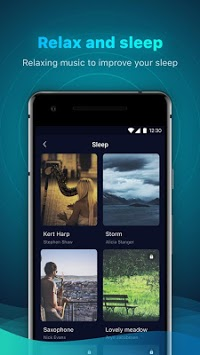 Turn off your music automatically, so that it won't disturb your deep sleep. In just a few minutes a day, you can learn how to train your body and mind and live a healthier, happier, stress-free life. Part of the modules are and will always be free. Other contents will be unlocked after viewing promotional videos. If you have never tried meditating, don't worry. We offer you a rich, thoughtful and considerate sleep and meditation service. We hope it will improve the quality of your sleep, make you feel relaxed at work and happy in your life.